If you are a loyal reader of AN’s Southwest edition, you will know that we have reported multiple times on the sad saga of the destruction of John Johansen’s Mummers Theater (also known as the Stage Center theater). We wrote several stories on the efforts to save the building and the last-resort plans to repurpose its cut-up remains into a children’s adventure playground. 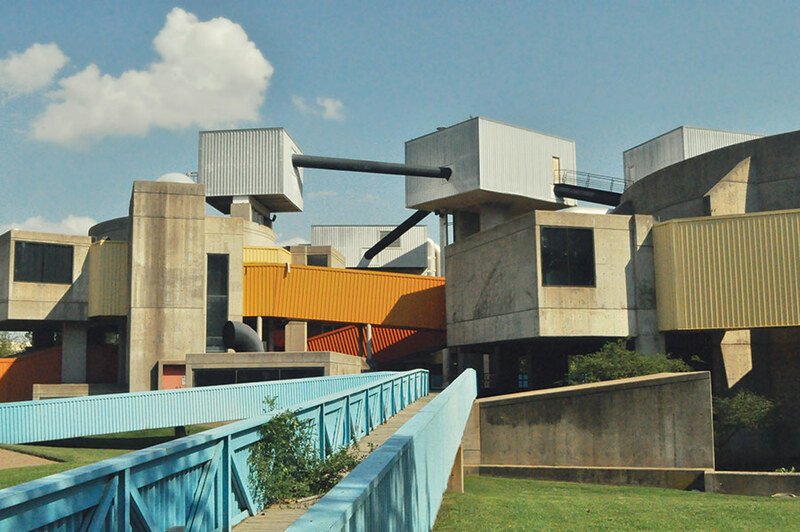 The 1970 theater building was built in an era when a municipality like Oklahoma City promoted itself to the outside world by commissioning daring architecture (and theaters) from designers like Johansen. 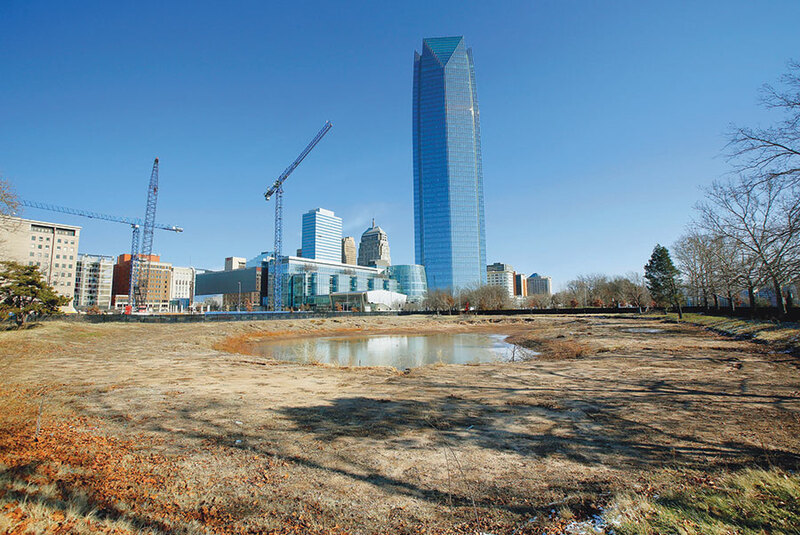 Though the theater was Oklahoma City’s most distinguished work of architecture, the city seemed like it was in a rush to destroy it and replace it with corporate towers designed by Robert A.M. Stern Architects. 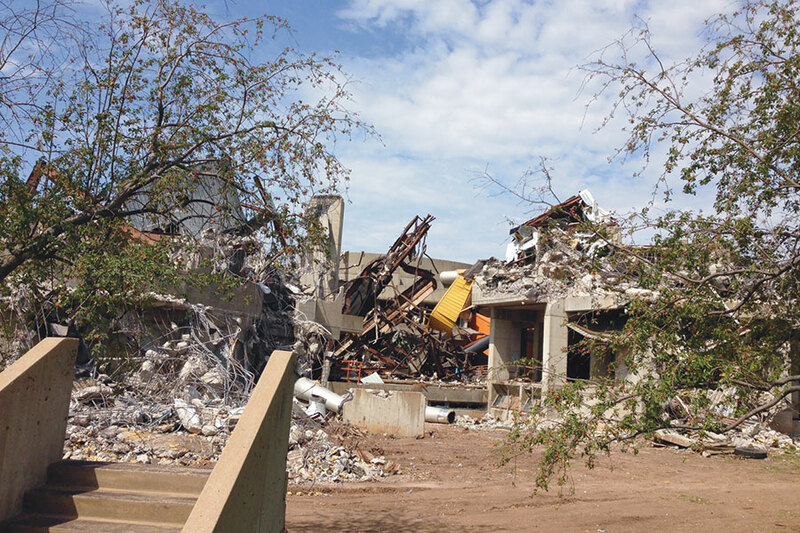 We were sent a series of images by architect Alissa Bucher showing a pile of twisted concrete, metal, and steel before the building was carted away to a scrap yard to make way for the towers. But then the office complex was suddenly canceled late last year: a victim of falling oil and gas prices. Now the site—which once had one of this country’s most adventurous buildings—is a vacant, fenced-in lot featuring a large water-catching hole. Have a look and weep. John Johansen’s Mummers Theater in rubble before it was carted off to the landfill. A year and a half after demolition, the site remains empty, collecting water in a hole.